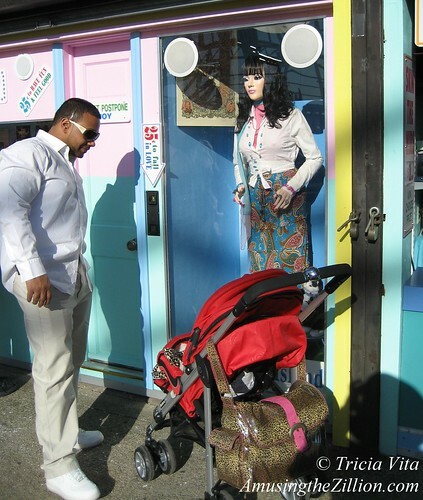 After 14 years on Jones Walk, the windows featuring the life-size dancing doll “Miss Coney Island” and the miniature animated rides of “Coney Island Always” have moved to West 12th Street along with Skin the Wire and other whimsical games. Mechanical wonders like Chuckles the Clown and dancing cats can be found there as well. 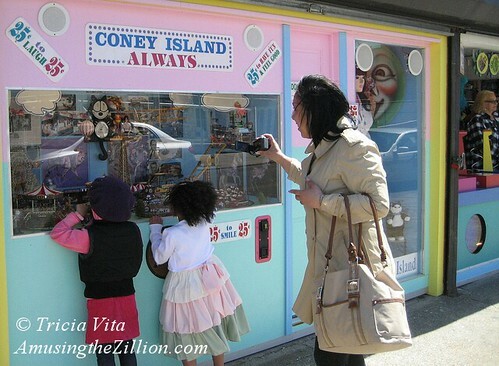 The location is just off the Boardwalk, under Deno’s Wonder Wheel and next to the Coney Island History Project. The usually silent Miss Coney decided to speak up after a New York tabloid recently dissed Jones Walk as “a longtime seedy strip” and claimed that the City cleared everyone out because it “had been filled with rigged carnival games and ripped off beachgoers for years.” She was furious. “In 14 years on the Walk, nobody but nobody has ever accused me or my friends of being seedy! Win or lose, people left with a smile on their faces,” Miss Coney said. ATZ can vouch for Miss Coney’s veracity. Having worked games of skill on the Walk, it pained us to see the reputations of all of the concession operators tarnished so casually. There was ONE bad apple among the tenants in the City-owned booths. The majority of the operators were legit and were therefore able to relocate to City-owned or private property in Coney Island. 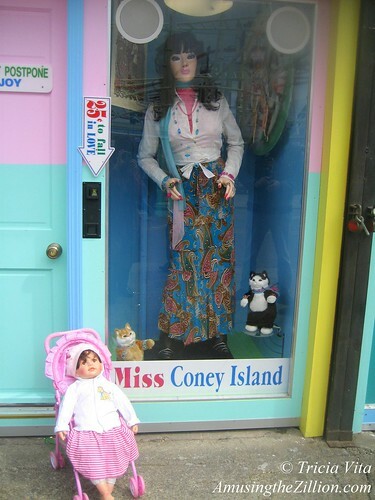 “It costs ’25 cents to fall in LOVE’ and ’25 cents to smile,’ but quarters don’t pay the rent in Coney Island,” according to Miss Coney, who depends on income from Skin the Wire and other $2 games of skill to fund her retirement. Three of the games made the move to 12th Street, but two money-making water games had to be left behind in the dumpster. “We just couldn’t fit them into our new space,” she added sadly. No interview with the little dancing kitty? Excellent writing, Tricia, enjoyable read. I got a little crush on Miss Coney Island, I like the way she moves and she’s easy on the eyes. 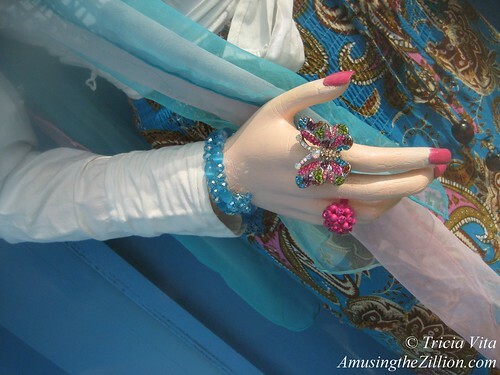 I work in the garment district and I’ve seen them come and go, change style, lose their heads. Miss CI, she’s a top shelf gal, got sand in her shoes. I forwarded your comment to Miss Coney Island. and she replied that she has a l’il crush on you too! she’s also an established star! Nice find! Miss Coney appears in a lot of photos and vids,but she’s still waiting for that call from Hollywood!